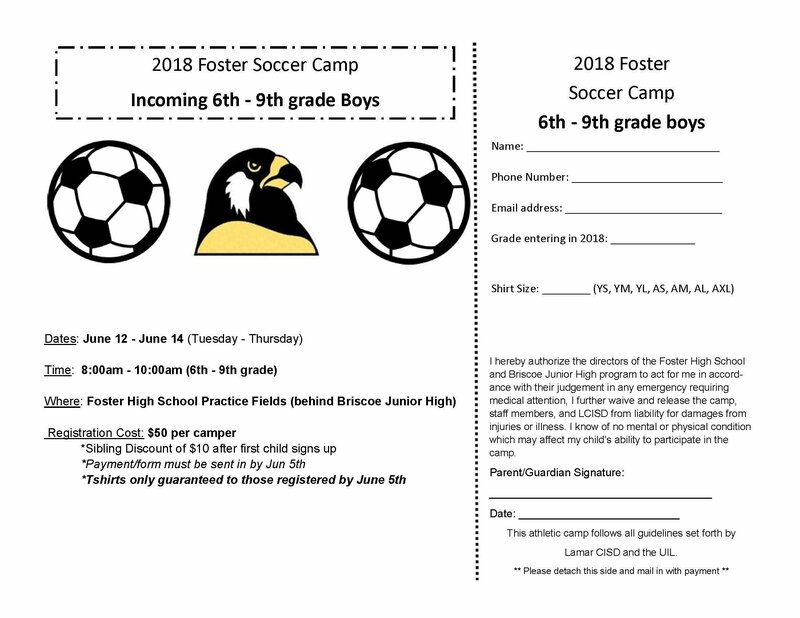 In case you missed it – Here’s a recap of results from some of our Falcons sports teams from the week of 4/1/19. 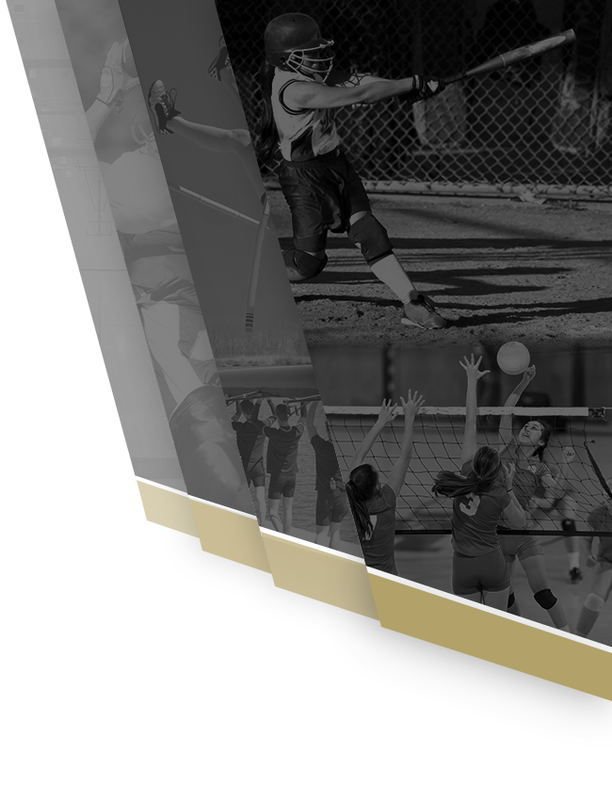 Want your team highlighted on the athletic website? 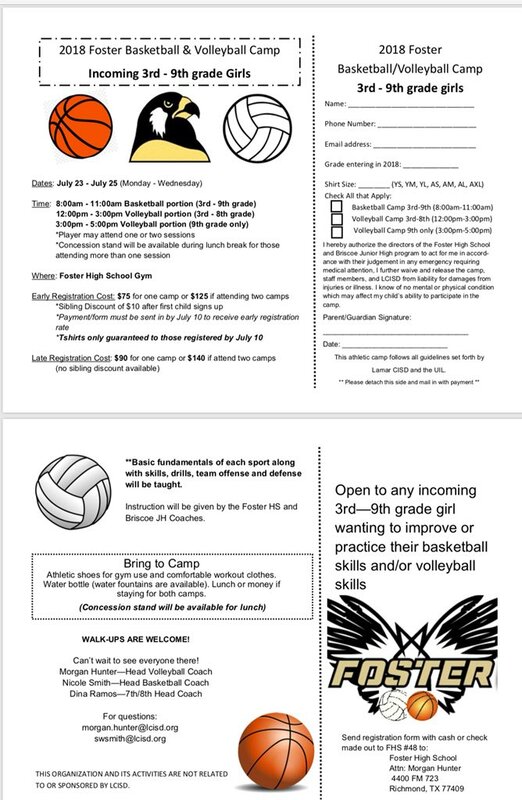 Send sports scores, game summaries, and photos to webmaster.fosterabc@gmail.com. 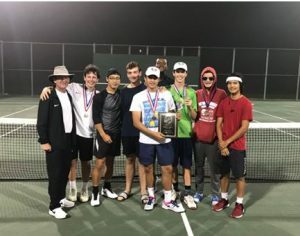 Congratulations to Boys Tennis who are the District 24-5A Boys Tennis Champions! Congratulations Joseph! 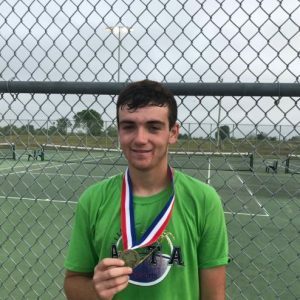 District 24 5A Boys Singles Champion! Congratulations Laurence! 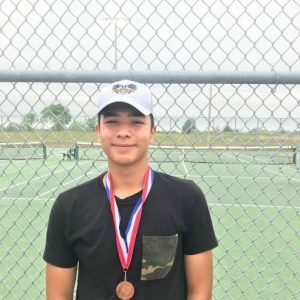 District 24 5A boys singles 3rd place! 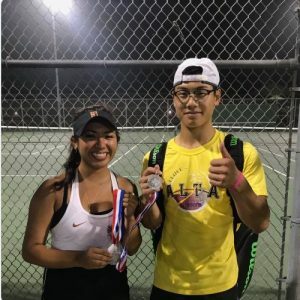 Congratulations Anthony and Natalia! 2nd place District 24 5A! On to Regional’s! 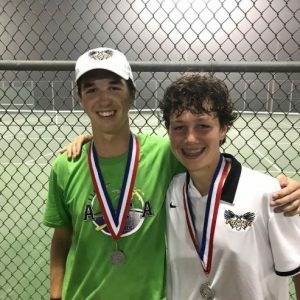 Congratulations to Kaden and Spencer! 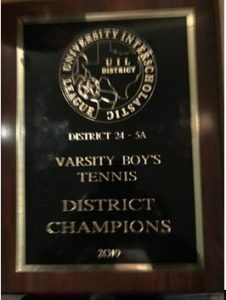 2nd in District play. On to Regional’s! 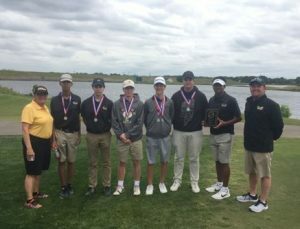 The Foster boys golf team wrapped up their district tournament play finishing in 2nd place as a team and advancing on to Regional’s. 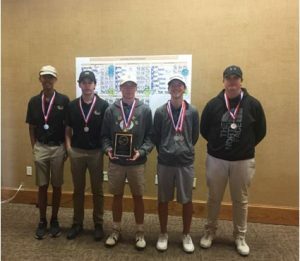 Sophomore Tobey Wills finished in 2nd place overall with a two day score of 153. Congratulations on a great season to our Lady Falcon Soccer Team. 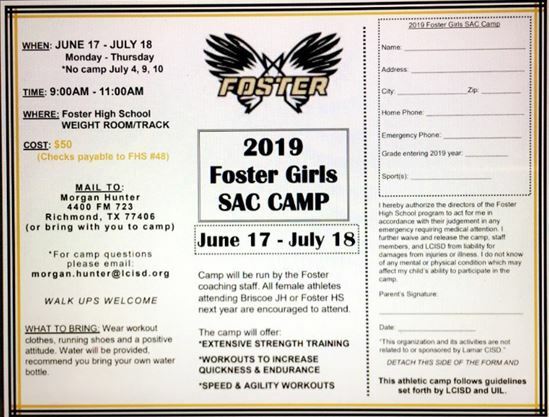 Peyton Welker was brilliant in the pitcher’s circle on Tuesday, as she threw a no-hitter to lead Foster past Marshall 17-0. Foster secured the victory thanks to 12 runs in the third inning. The offensive onslaught was led by Cici Mata, Emily Naivar, Kylie Neel, Shelby Showers, Welker, and Naivar, all driving in runs in the inning. Foster scored 12 runs in the third inning. Mata, Naivar, Neel, Showers, Welker, and Naivar all contributed in the big inning with RBIs. Welker got the start for Foster. She went three innings, allowing zero runs on zero hits, striking out seven and walking one. Foster racked up 11 hits on the day. Mata, Naivar, and Neel all collected multiple hits. Mata went 3-for-3 at the plate to lead Foster in hits. Foster was sure-handed and didn’t commit a single error. Naivar made the most plays with seven. 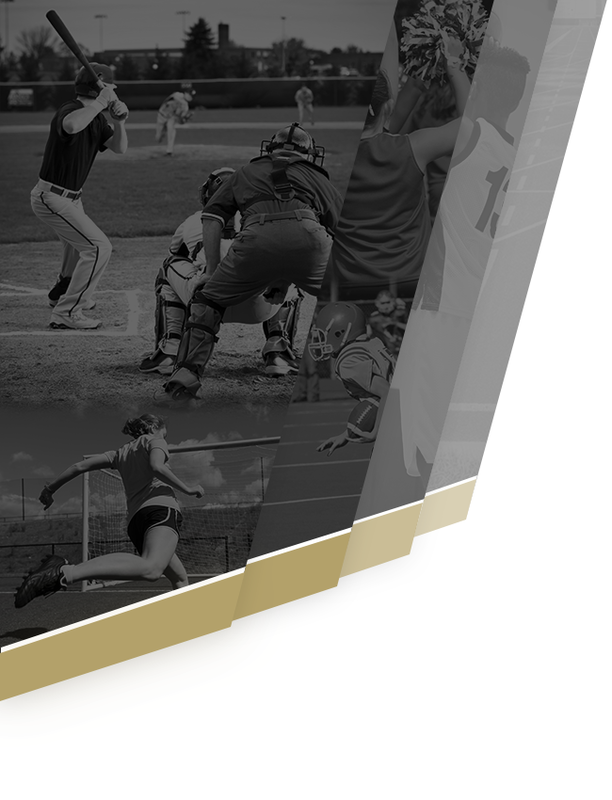 Foster beat Hightower in two innings on Friday night 24-0. Foster JV Gold beat Willowridge 16-0 in three innings. Wyatt Boyd was brilliant on the hill on Friday, as he threw a no-hitter to lead Foster JV Gold past Fort Bend Willowridge 16-0. Boyd was credited with the victory for Foster. He lasted three innings, allowing zero hits and zero runs while striking out nine and walking one. Foster JV Gold tallied 11 hits in the game. Logan Stanton, Brenden Genenbacher, and Diego Saenz each collected multiple hits for Foster. Stanton went 3-for-3 at the plate to lead Foster in hits. Foster JV Gold was sure-handed and didn’t commit a single error. Luke Capel made the most plays with nine. Foster tore up the base paths, as two players stole at least two bases. Boyd led the way with three. Foster Falcons Varsity claimed a 15-5 victory on Tuesday, despite a big push by Fort Bend Willowridge in the third inning. Fort Bend Willowridge scored its runs on a home run by #1. Foster opened up scoring in the first inning, when Chance Van Cleave tripled on a 2-1 count, scoring one run. Chase Albright got the win for Foster. He surrendered zero runs on zero hits over two innings, striking out two and walking zero. Bryson Harrell, Audin Sanchez, and Jacob Capel all put in work in relief out of the bullpen, steering their team towards the victory. Albright, Sean Kelly, Van Cleave, Joseph Guerra, Christian Martinez, Jacob Flores, Reece Burke, Carson Smith, and Cade Sitka all had one hit to lead Foster. Foster was sure-handed in the field and didn’t commit a single error. Sitka had the most chances in the field with nine. 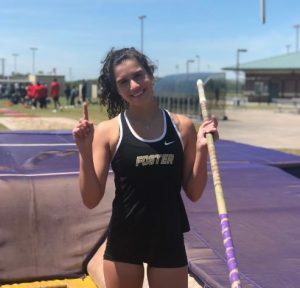 Maddie Maves is the District Champ in Pole Vault! 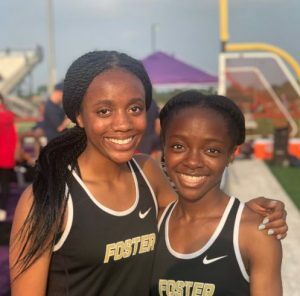 Congrats to FRESHMAN Kamryn Williams who qualifies for Area with 4th in the 800m Run and to Ife Chris-Rotimi who is 2nd in District in the 800m! 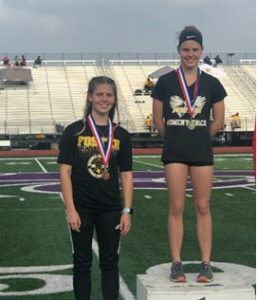 Congrats to our dynamic distance duo Maddie Ellis 3rd place in the 3200m Run and Macie Ellis your 24-5A District Champ in the 3200m run!